GBP/NZD continued to trade sideways during the first half of November 28, so the open trade from yesterday was closed with a loss. Worse, two more losing trades were generated. 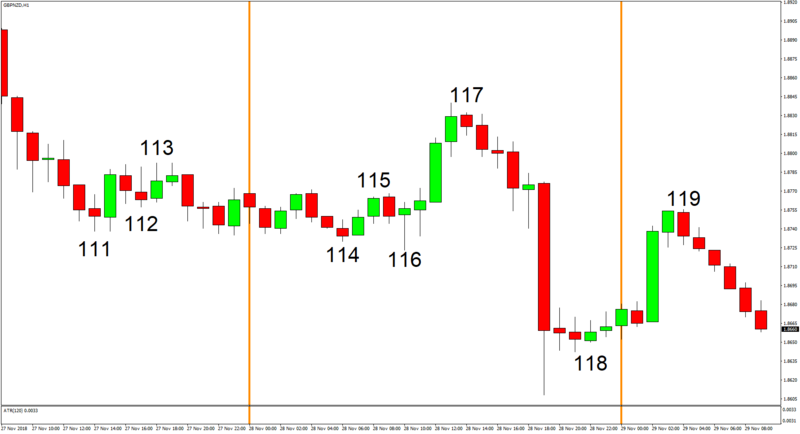 Volatility picked up during the later half of the day, however, and there were clear directional movements to boot, which yielded some winning trades. 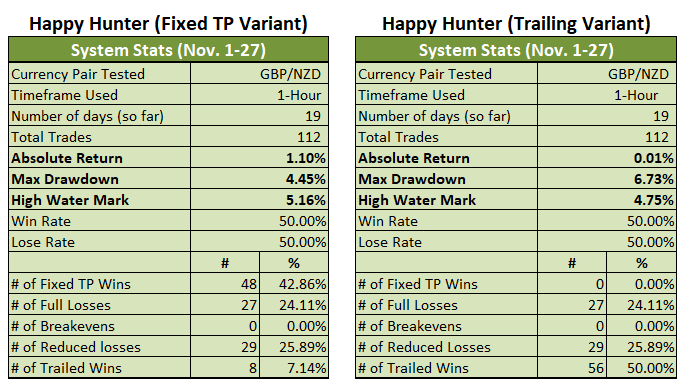 And fortunately, the gains were more than enough to offset the losses, so both Variants came out ahead. 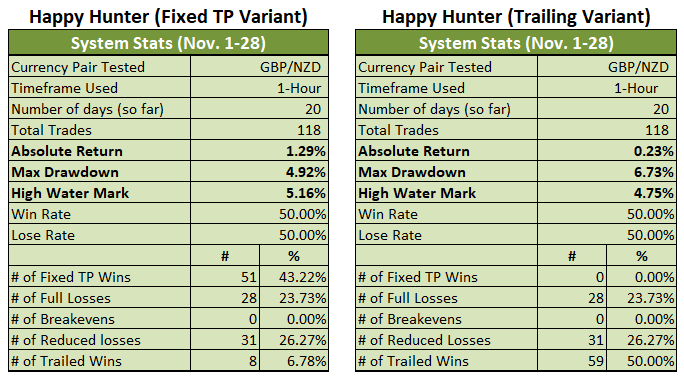 The Fixed TP Variant, slightly bumped up its gains for the month from +1.10% to +1.29%. 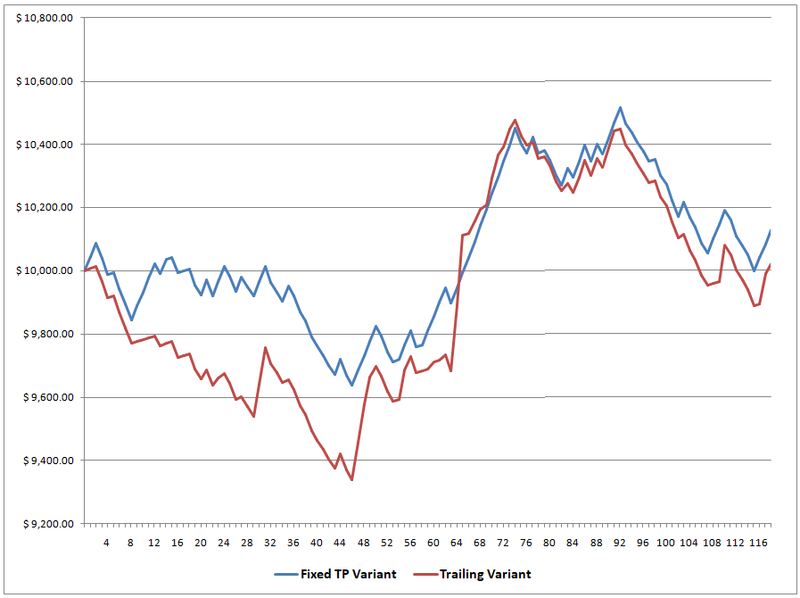 The Trailing Variant, meanwhile, is now up by 0.23% (+0.01% previous).